Balance supports many exchanges allowing it to support almost every crypto currency imaginable. I helped implement integrations into Kraken, Bitfinex and GDAX. While the macOS app was being tidied up for the beta release I helped build the UI for the iOS app. 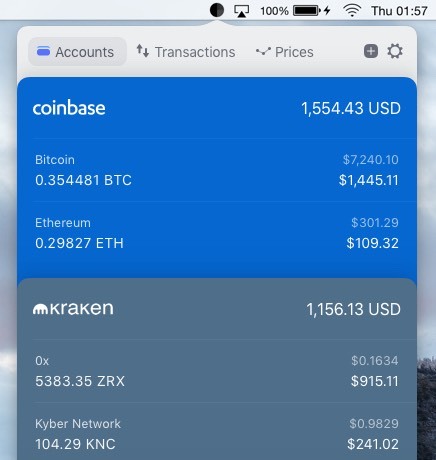 This consisted of listing transactions, settings, being able to manage accounts and listing accounts using a custom "card" style UICollectionViewLayout which I later ported to macOS. I was tasked with building out a new experimental MVP feature that would enable the user to seamlessly move currency from one account to another, regardless of the currency or exchange.